As part of our Boss Woman Series, we bring you stories of entrepreneurs who have gone forth on their own: dealing with challenges of different kinds, starting up without funding and sailing through, and much more. 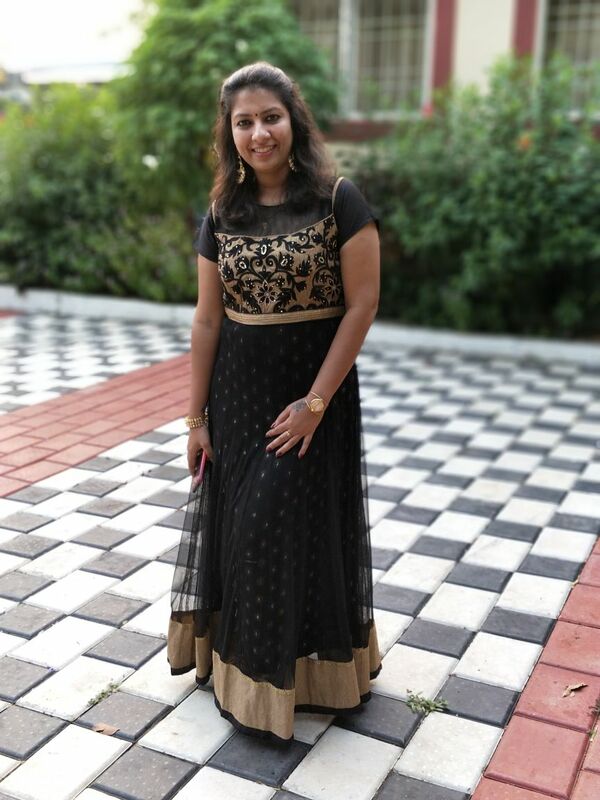 In the first post of this series, Shalini Girish tells her story. Shalini is the brain behind La Elegante. I am Shalini: a dreamer, a go-getter. I am strong, yet sensitive to a fault, but a fiercely independent woman. I believe that we soar as high as we set our limits. I am an MBA graduate in finance but doing the degree was more for my family. I was not interested in studying business management, I always wanted to do journalism, but ended up selling jewellery - well, at least, there's a J in both! I have always wanted to travel the world and have been fascinated by travel. I guess fate had other plans. A small consolation though, is that my jewellery is travelling all over the world. I have clients from all over the world, be it Finland or the USA, Africa, most gulf countries, Australia and Bangladesh, and even a dear client from Antarctica! I am the eldest of two sisters and our parents always taught us to stay true to our conscience and to never give up. My mother is one of the strongest women i have ever met, and remains my inspiration, my strength and my weakness as well. I always had an eye for pocket-friendly affordable and wearable jewellery. When I was wondering what to do career wise, a cousin suggested e-Commerce. One thing led to another, and on March 8, 2014, La Elegante became a reality. It was launched with the sole aim of trying to bring curated fine elegant pocket friendly accessories to women all over the world. I run it entirely, and treat it as my baby. Every single aspect is my department, be it procurement, photography, accounting, taxation, coding, sales, marketing, social media presence, packaging and dispatch, logistics and everything else there is. I handle all of it personally, which is both, an advantage and a disadvantage. It is undoubtedly an advantage because I have the pleasure of interacting with my clients, and it is an unparalleled experience that I would never trade for anything else in the world. It is a disadvantage too, because I also have a family to take care of, and anything going on in my personal life can affect my work in equal measure. There are times when I worked through sickness from a hospital bed, from a hospital lobby while nursing a loved one back to health and t he like. Those are times you regret not having another helping hand! That being said, the bliss I experience on seeing a review posted on my page is reward in itself for all this hardship. Recently, I held my first ever exhibition in Chennai. There was this dear client who came all the way from Pondicherry just to meet me and to buy my products. Now, that is unparalleled bliss and I wouldn't trade that for anything! Women all over are constantly juggling and do find themselves, on occasion, caught between their personal and professional lives. My story is no different. It is just that when its your own baby, the stakes are way too high. It is my reputation and integrity which are questioned if i fail to deliver. The constant choices I make to keep both the worlds from colliding are daunting, if not hard. It is still a man's world. Getting my suppliers to take me seriously is itself a challenge. They are quick to dismiss women like me as bored homemakers out to make a quick buck. On many occasions, we have to be the liaison between the courier company / speed post / customs, and that is a different ball game in itself. I work from home, and there is always the challenge to get people to respect my work and deadlines. The general perception is that "its your home business, so it is not that serious!" There have been and pretty sure will be, many more challenges. I guess the trick is to keep pushing forward and never to stop learning. Everyday is a learning opportunity. I hope to make La Elegante a brand in itself, a one-stop destination for people to pick up carefully curated pocket-friendly jewellery. La Elegante has helped me build some beautiful stories that bring me tears of joy and lots of laughs on difficult days. I had a new client order some stuff, and by the time I could dispatch her order, I had to rush to my hometown since my dad had suffered a massive heart attack. In the chaos, I could not inform her about the unfortunate delay in the dispatch of her products. Finally, she called when I was just jumping into the flight, and I mentioned the issue. Imagine my joy, for when I landed, she called me back just to make sure there was someone at the airport to pick me up and to generally to give me strength! A client once messaged to tell me that even for movies, she could manage to get tickets easier than she could grab my products! Another compared getting my products to getting tatkal tickets. Yet another told me she was planning on quitting Facebook because she was addicted to my page. The one I savour most was when I bumped into a friend and she introduced me to her colleague. We got talking and when this person knew I was into e-commerce, she started talking about how they were the in thing and about how there was this one page she was addicted to. I couldn’t help grin from ear to ear when she told me the name of that page: "La elegante!" A dear client invited me for her wedding and was sweet enough to actually insist on booking tickets for me to attend her wedding. A few of my clients have gone on to become well wishers - although I have not met any of them in person, the love and concern I got from all of them was blissful.